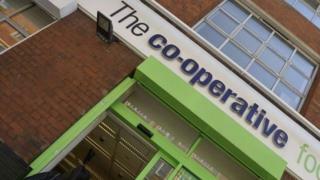 The troubled Co-operative Group has sold its farms business for £249m to health charity the Wellcome Trust. The Co-op said it will now focus on its core retail and consumer divisions, including food, insurance and legal services, and its funeral business. It will use the sale cash to reduce debt and invest in its core businesses. The sale includes 39,533 acres of land, 15 farms, more than 100 residential properties, as well as some 27 commercial properties. All existing farms management and employees will transfer to Wellcome. The sale comes three weeks after the Co-op said it would sell its 774-strong pharmacy chain for £620m to Bestway Group. The proceeds from that deal will also be used to reduce the Co-op's debts and invest in other parts of the business. The Wellcome Trust is the world's second highest-spending charitable foundation, and backs research into improvements in human and animal health. Its achievements include funding much of the sequencing of the human genetic code, and research that enabled the introduction of the frontline drugs used to fight malaria. Wellcome also has significant property and agricultural holdings. "The successful sale of our farms business is another important development for the Co-operative Group," said Richard Pennycook, interim group chief executive of the Co-operative Group. "The sale proceeds will enable us to further reduce our debt and progress with the delivery of the clear strategic plans we have in place for our core retail and consumer services' divisions." The Wellcome Trust said it was "ideally placed to develop and grow" the Co-op's farms and farm business.